This carrot soup is rich and flavorful enough to be a meal in itself, but it is still light, so it is great as a small side cup of soup to complement any meal. It also works as a thick, spicy sauce for vegetables or rice. It freezes well, so you can freeze it in individual serving containers to serve as a quick meal, great for last-minute entertaining. Note that this recipe is a very large quantity. Trader Joe’s “Everyday Seasoning” tastes like an “everything bagel.” The ingredients are the following: sea salt, mustard seeds, black peppercorns, coriander, onion, garlic, paprika, chilli pepper. 1 teaspoon broth starter or bullion powder. 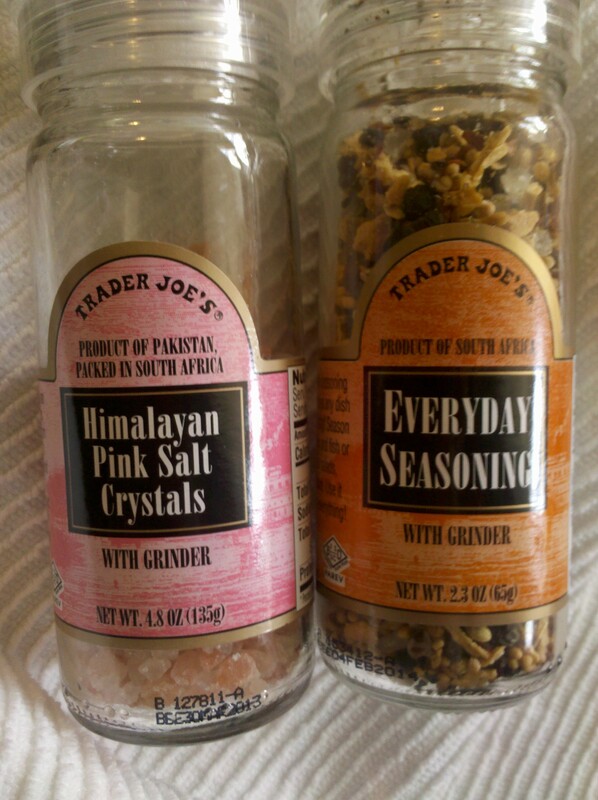 NOTE: Trader Joes “Everyday Seasoning” tastes like an “everything bagel” or something like an Italian spice blend. If you do not have a Trader Joe’s near you, you can approximate your own spice blend. The ingredients are the following: sea salt, mustard seeds, black peppercorns, coriander, onion, garlic, paprika, chilli pepper. 1. Roughly chop the carrots into 1 inch pieces. They don’t have to be pretty, they just have to cook evenly, so keep them the same size. 2. In a very large pot – it must hold at least 30 cups (7.5 quart or ~2 gallons) – place the carrots and enough water to cover them by about two inches. Boil over medium heat until carrots are just barely soft, but not mushy. 3. While carrots are cooking, sauté diced onions in the oil in a cast-iron pan until they are caramelized. You don’t want any crunchy and sour onions in this soup. 4. Drain water from the cooked carrots into a separate container and save this water. You will be using this water to make broth. 5. Using a blender or food processor, blend the cooked carrots along with a little of the carrot water in small batches. Blend until all the cooked carrots are pureed. Next, blend the caramelized onions along with more of the carrot water. 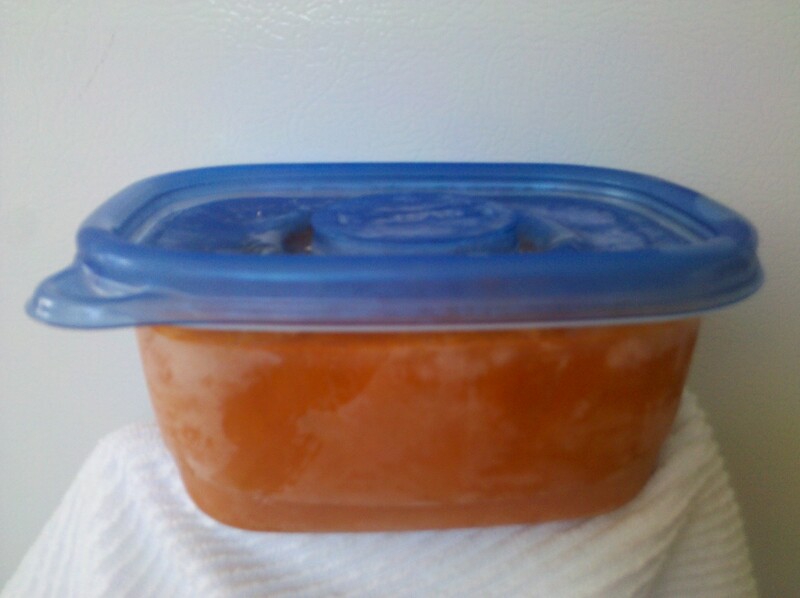 Pour all pureed carrot and onion back into the large cooking pot after each batch, and turn the heat to medium. If there is some carrot water left over, add it to the pot as well. 6. Next, add the seasonings: garlic/ginger paste (or separate garlic and ginger paste if you can’t find the combo paste), Himalayan pink salt, “Everyday Seasoning”, powdered ginger, and a teaspoon of bullion powder or broth starter. Stir well and cook on medium for about 5 minutes to let the seasoning blend in. 7. Taste, and season according to your preferences. I have made this soup several times, and did not have to add additional water, however, since all stoves can vary, you may need to add additional broth or water. Ginger carrot soup. It freezes well, so you can freeze it in individual serving containers to serve as a quick meal, great for last-minute entertaining. This entry was posted in Gluten-Free Recipes and tagged carrots, cheap, easy, entertaining, fast, freeze, ginger, Gluten-free, healthy, potluck, sauce, soup, spicy, Vegan, vegetarian. Bookmark the permalink.